Drool-Worthy Waffles Are Made Fresh All Day At Wafflesome! The service is great. Everything is made fresh and the waffle batter is delicious. The place is well managed considering it's always crowded and open till late especially on weekends. 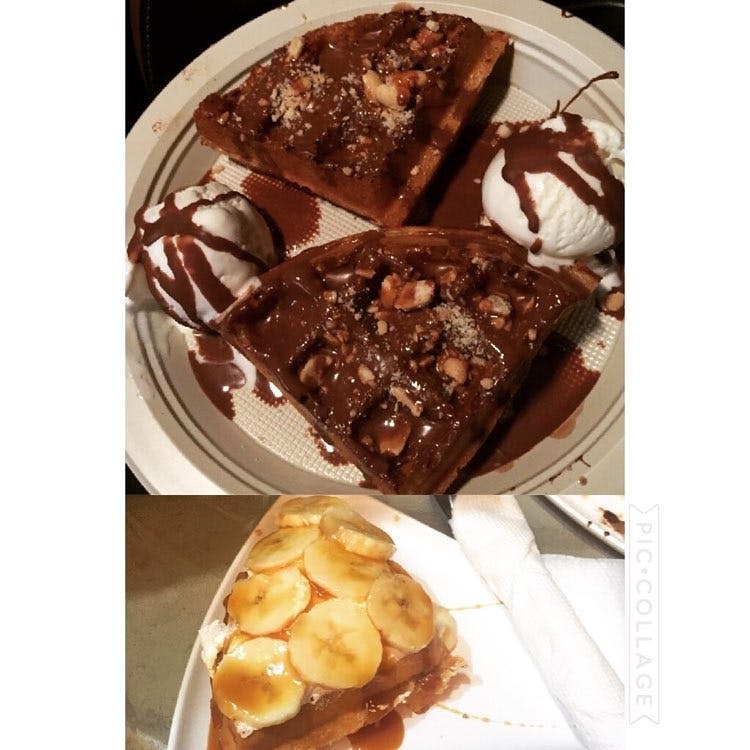 Their most popular waffles are the Nutella and nuts waffles with a side of vanilla ice cream. Their banana and toffee with whipped and strawberries with whipped are super delicious and fresh too. All the toppings are added on a bed of fresh baked warm waffles. They are pretty reasonable too in terms of pricing. Have You Tried The Best Waffles In Delhi Yet? You Can Gobble Up Wafflesome’s Amazing Waffles Till Midnight!